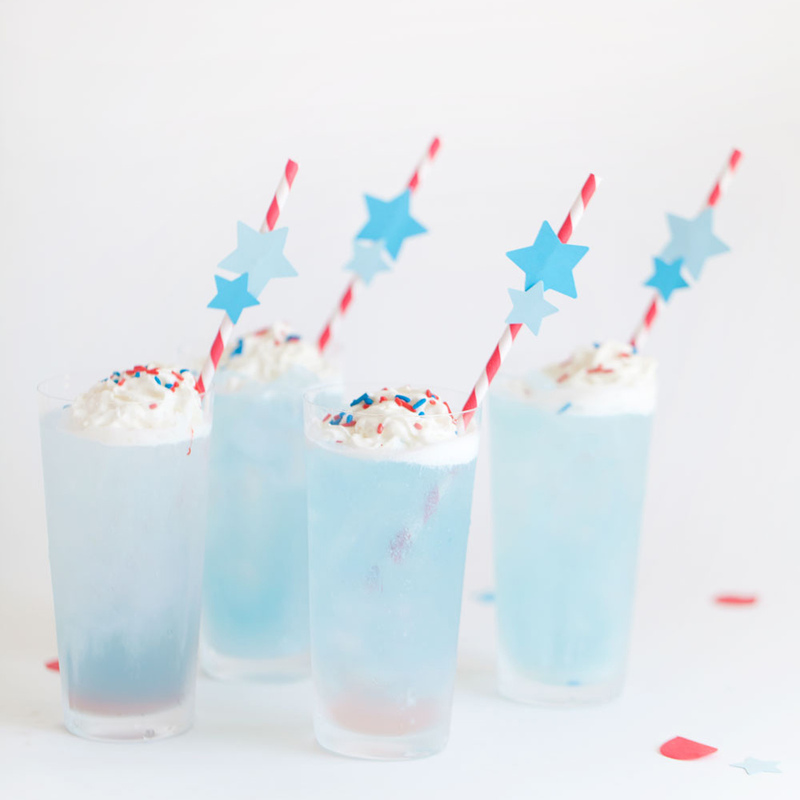 Another holiday with candy and I am 100% on board! 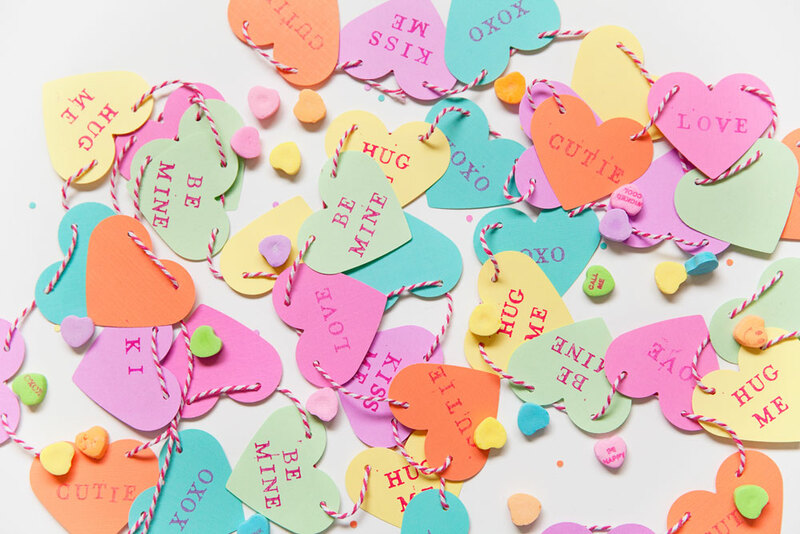 Valentines is my chocolaty dream holiday but I do looooooove those yummy sweet heart conversation chalk candies. I know they are not everyone’s favorite (kind of like Peeps which I also love) but they are what reminds me of Valentines the most. 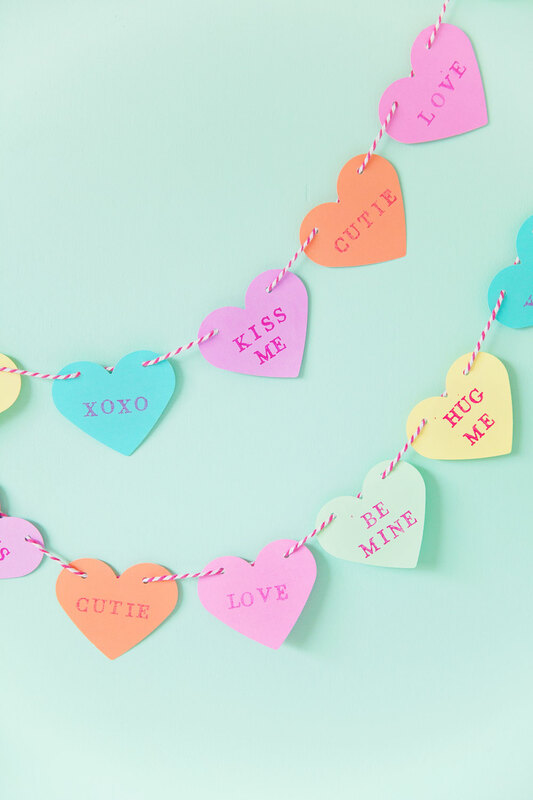 So obviously I needed to make a cute candy heart garland in honor of my favorite Valentines day candy. 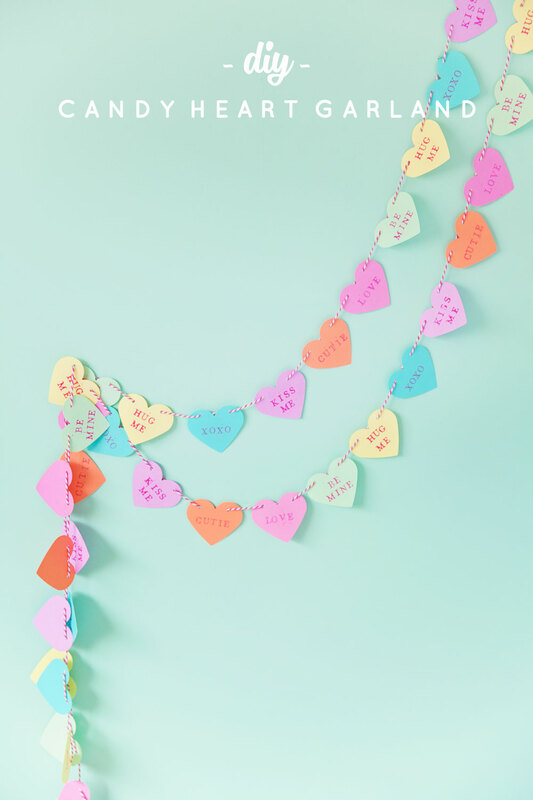 And who doesn’t want colorful hearts made into a garland?? Because I sure do! 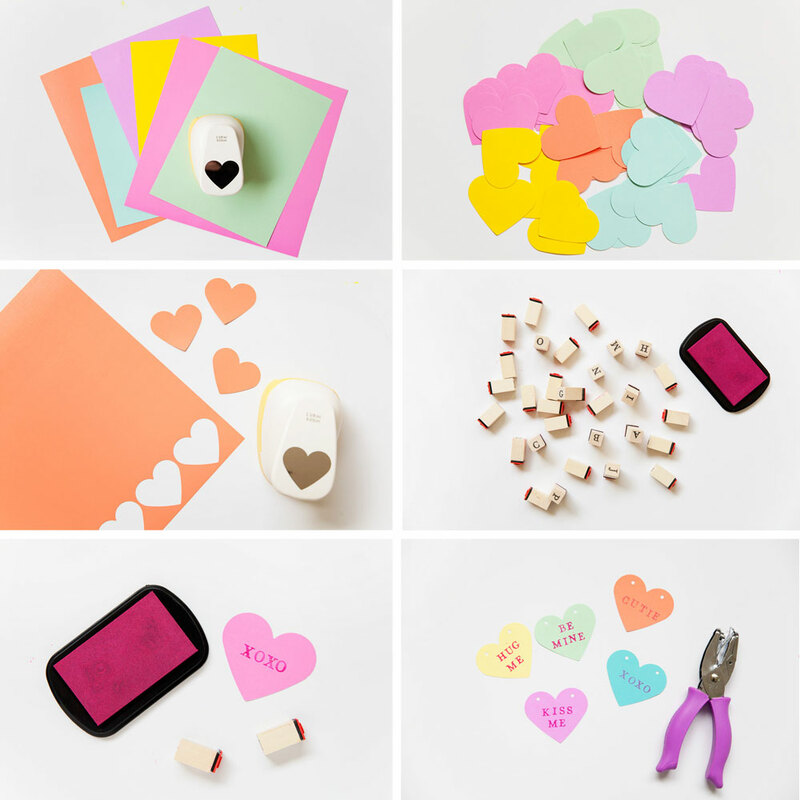 -Cut out hearts in candy colors. -Stamp cute sayings on each card. Its a lot easier to put the same saying on a specific color. 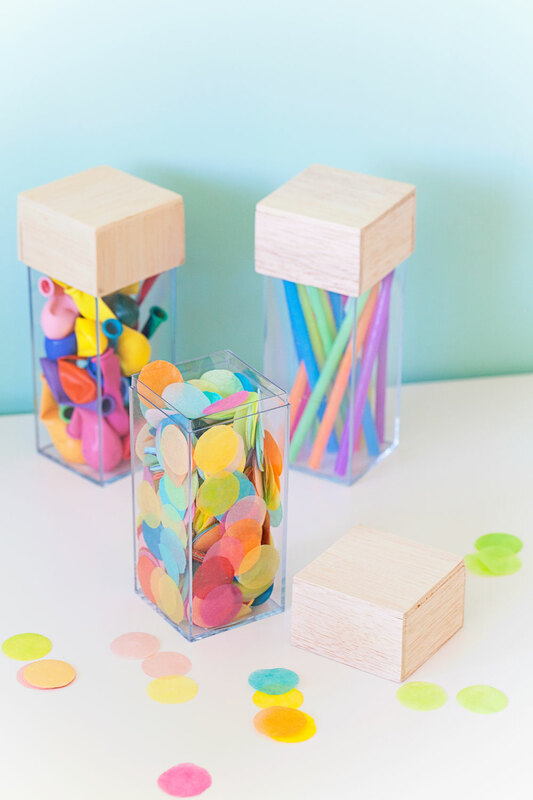 -Cut out two tiny holes in the top of each heart so you can string them into a garland. 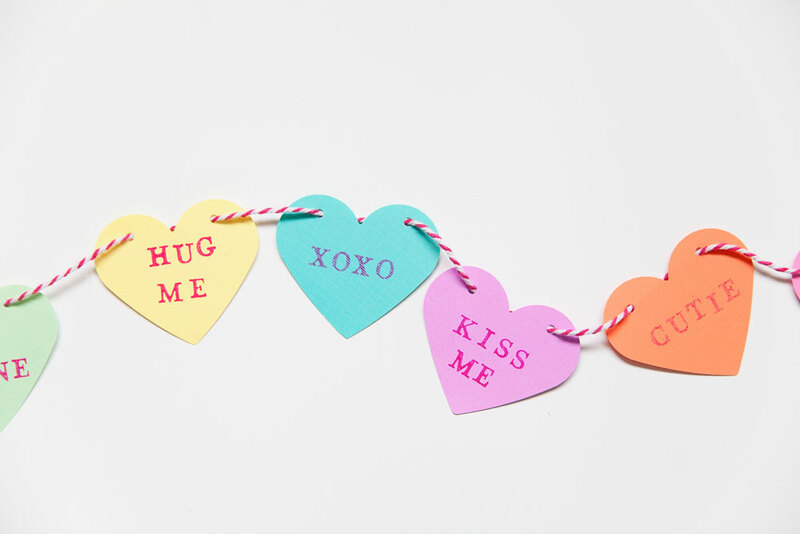 -Lastly string them together and then hang your cute new candy heart garland. 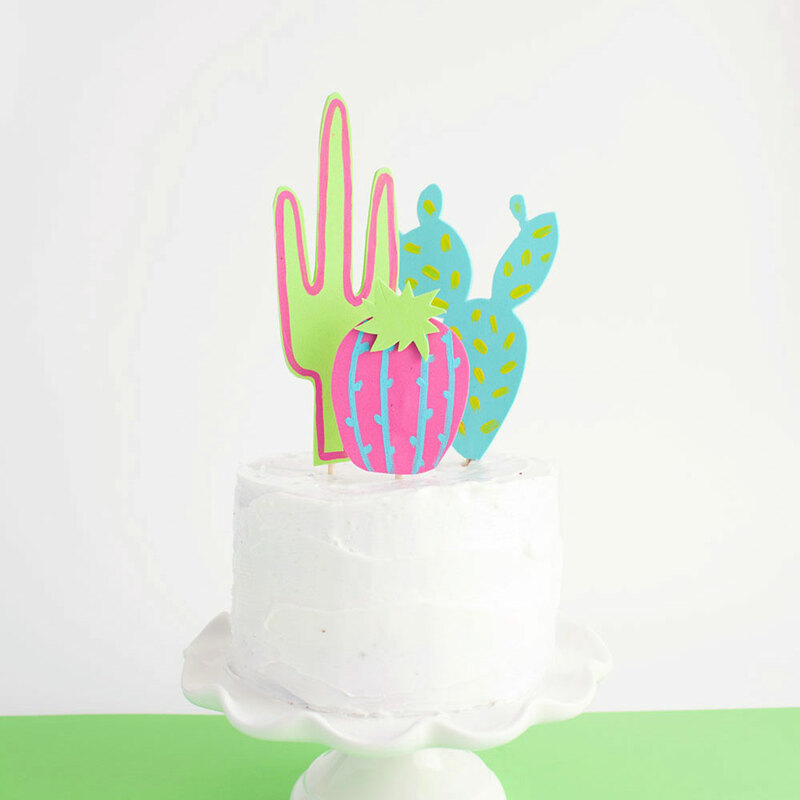 Yay for fun garlands and delicious candies! 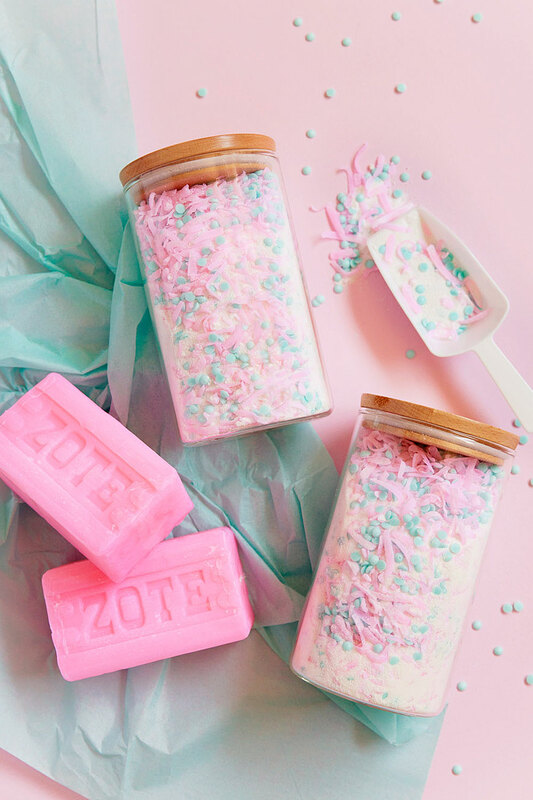 This is such a super cute idea!